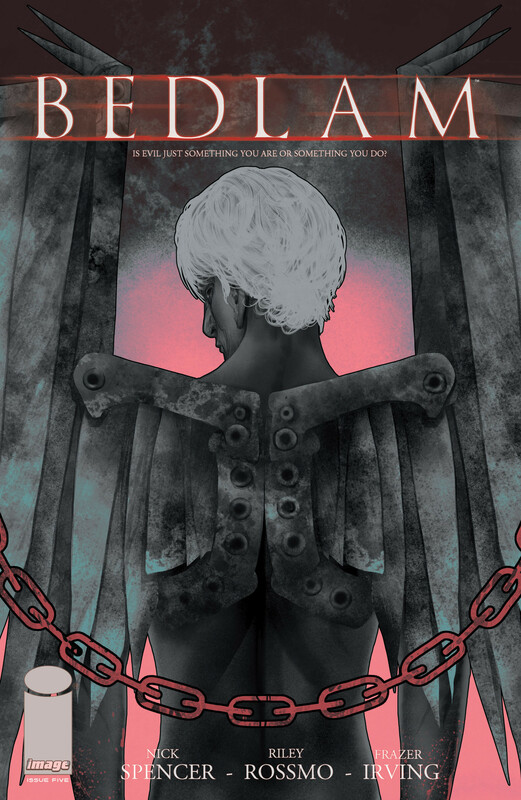 Bedlam #5, written by Nick Spencer and drawn by Riley Rossmo, is aptly named for the madness dripping from the pages of the comic, like a mad house barely able to contain it’s inmates from escaping and leaping out at you. It stars Fillmore Press, formerly known as mass murderer Madder Red and now aiding the police in homicide investigations having been “cured” of violent tendencies. And to Fillmore’s credit he is the most adorable and bashful mass murderer I’ve come across in some time. This entry was posted in Reviews and tagged Bedlam, Image, Nick Spencer, Riley Rossmo on March 7, 2013 by palmtreeze.